Our renovation projects of Johnson and Rockwell School continue to be on track. The construction documents have been reviewed by a Third Party Code Reviewer, our Commissioning Agent, our Construction Manager and Owners Representative. Our architects revised the drawings based on that feedback. Last night, the Board of Education approved the final plans and professional cost estimates. 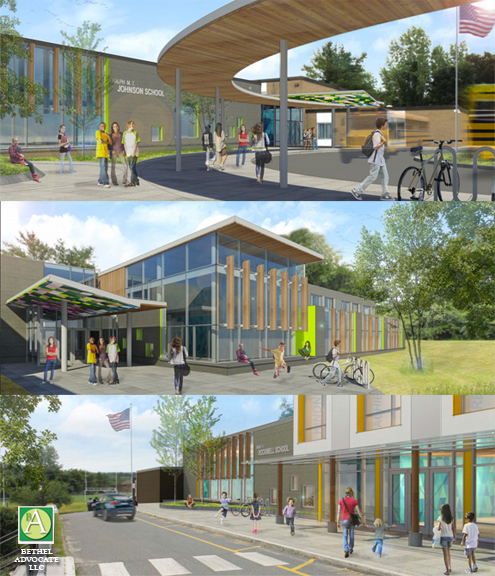 Pending approval from the Public Site and Building Committee on October 9th, we will go to the State of Connecticut, Office of School Construction on October 10, 2018 for approval of construction documents and the ability to go out to bid on both projects. In addition, we have finished our environmental testing and are developing abatement plans for environmental hazards. On Tuesday, October 9th at 6:30pm I will be attending the Rockwell PTO meeting (at Rockwell School) to provide parents with a project update specific to Rockwell School. I will be doing a similar presentation at Johnson School on November 13th at 7:00pm. Our Environmental Consultant, Jim Twitchell from Hygenix Inc. will be in attendance at the meeting to specifically address environmental abatement in schools. Our Construction Manager, Rizzo will also be present to address any questions or concerns. We encourage parents and staff to attend this information session.